“I’ve waited a couple days since the total service has been completed to leave a review which will have a true impact for Energy Monster. This is intended to give any consumer who looks at their page a honest expectation of their customer service and scope of work. I obviously wanted to see the results first and if any problems rised after service was completed. I had the pleasure of working with Mike Heil, and Mike Weytenus. From the start of our energy audit, planning for ductless mini splits and insulation these 2 guys were always there to answer my call, text or email. My wife and I are first time home owners. We aren’t well educated on fixing things in our home, as it is a learning process. Mike & Mike made this process less stressful, and also helped us learn. Mike W came by so much my toddler knew him by name and became uncle Mike. This is important when you make a investment in your home. One needs to be able to trust the company you are going to do business with, Energy Monster is that company. Nick, Jose and John from the mini split team were professional, helpful and did a great job. After they completed there were minor issues with factory settings they had to adjust. Without hesitation they came out, fixed the problem, and updated me. The insulation team was friendly, worked quick and treated my home as their own. The difference today, is unbelievable. The home has change so much since all the work has been completed, and my wife and I are very happy. “I evaluated quotes from three PV companies before I placed an order for a 24-panel PV system with Energy Monster. Here are the three reasons: The publicly traded company that I favored first wanted me to sign away my consumer rights, (1) with no such provisions in Energy Monster’s contract, (2) a good price and (3) Dan G., the very knowledgeable and dedicated sales manager / project manager / system engineer as the main contact, I felt safe placing my order with Energy Monster. During installation a few obstacles had to be overcome, all of which were related to the town’s permitting process and required licenses. All that got resolved without incident eventually. The installation crew Chris B. (Master Electrician) and Brandon T. did an outstanding job installing the solar system. It passed all inspections with flying colors. There were no start-up problems. In summary: Energy Monster’s pricing was good, they selected first tier 1 solar panels and inverters, work dedication, workmanship, project management and technical expertise were outstanding. I like that no electric cables are visible. Energy Monster used a roof penetrating feedthrough, which is located underneath the panels. It was tested thoroughly during the torrential rainstorms in the months following the installation. Not a single drop of water was leaking through. “I rarely give 5 star reviews but the sales staff, contractors and engineers at Energy Monster have earned that and more. We recently purchased a solar panel system from Energy Monster for our residence. During the entire process we found everyone to be professional, responsive and most importantly deliver on their promises. We are very pleased with the outcome of our installation and have seen the results of our investment not only in our energy bills, but also the energy credits and refunds from the government. Naturally, like most people we were a little skeptical with this venture in the beginning as it is seldom that consumers actually receive what was promised at the time of the sale. That was not the case with Energy Monster. We would most heartily endorse and recommend to anyone the services provided by Energy Monster and welcome the opportunity to be used as a reference. We continue to display our “We are saving on our Energy bills” sign on our lawn and will do so until the weather takes it away. “Mike Heil was very professional, knowledge and provided exceptional service. Anyone who owns a home should get in on this program. I had light bulbs, thermostats and showerheads updated with energy efficient replacements all got FREE. This equipment would have costed over $700! I also was made aware of zero interest loans to cover heating equipment, windows central air etc. The best part was the insulation consultation. The program through Mass Save is incredible. Mass pays 75% of the cost associated with insulation installation. “Tired of getting gouged by ever-inflating electricity and propane prices, we decided to go solar and chose EnergyMonster as our partner. I won’t ding EM on a star for this but we were a bit disheartened when the installation didn’t begin until months after the contract was signed so we missed out on a summer’s worth of solar production. In every other regard, however, EnergyMonster didn’t disappoint. The engineer on our project was very insightful, tech savvy, and up-to-date on all things solar. He was also involved in the sales process which was valuable to both myself and EM. Typical Solar companies lack in this regard as they just send out pitch-men with a script. Dan G. is at top of the top of his class and was able to address each and every concern. A team of just two, very hardworking, individuals performed the 38-panel installation in a little over a week. They were very kind, courteous, and worked around our schedule. The electrical work was phenomena: extremely clean, organized, and tightly-knit. Overall, the EnergyMonster team is comprised of down-to-earth people which is very refreshing these days. Additionally, EM provides the latest and greatest technology which others do not (despite what they may pitch to you). “We recently had Energy Monster install solar panels on our house in Needham. Everything went well and our electric meter is happily running backwards. I started out knowing little about solar power. I got quotes from several suppliers and went through various design iterations. Dan answered my questions and concerns promptly and we settled on a practical and cost-effective solution. When Chris came out for the site survey he added to my confidence that I had made the right choice. He and Brandon did a very professional, efficient and clean installation. Finally, Dan came to the house for the “commissioning” and to show me the cool software that lets me monitor my system’s performance from anywhere in the world. He flew the company drone to take “sun’s-eye” views of the finished product. 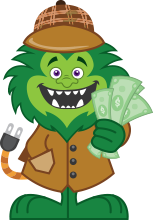 “Energy Monster’s Project Manager, Design Engineer, Sells rep and field technicians were all very knowledgeable, took their to come up with the most efficient and affordable method to save energy at my property. The team did not measure any efforts in every detail of my project. Additionally, the Project Manager accepted that their bid for the project was not the only one; he was able to counter-offer all other bidders, offering a better price. Finally, I was confident that Energy Monster was the right contractor for this project, considering their determination, and warmth passed along. After installing solar panels, one month my electric bill was -$8.00. Things are working out great. [I] just wanted you to know what fine representatives of your business worked at my home today. The entire crew was knowledgeable about the product and very professional in the work they did. I wanted to thank you for the coordination and the completion of the work order for my house insulation. The team presented themselves today at my house on time, they explained me the process thoroughly step by step. Changes made to the work order were discussed and agreed together after the teams inspection. All the work was done professionally and after it was completed, the team cleaned up all. The team members showed good communication skills and technical knowledge. Thank you all! I had insulation work on my home today and the crew did an outstanding job! They were extremely polite and courteous. Thank you, I’m very happy with the work you did! They explained everything thoroughly and even helped me with the paperwork. I am 100% pleased. Everything went smoothly and on time. I had a schedule…no complaints! Julie is a very professional, knowledgeable, pleasant person. She answered all our questions, and explained the reasons why. We will definitely recommend this to our friends. We are extremely happy with the service Julie provided. Julie was outstanding! She was knowledgeable, informative and pleasant. We highly recommend your company and Julie. We first learned about EM at the Worcester Home Show where we were impressed with Christie and the other lovely employees. We have already recommended EM to our son and other homeowner friends! Thank you! As the Director of Planning in Andover, MA, I’m involved in numerous green initiatives. There is no better time than the present to perform a home energy efficiency project. There are many rebates available and it’s a project that actually pays you back over time. The folks at Energy Monster performed my Free Home Energy Assessment, communicated openly and did an excellent job on the installation. I’m a fan! 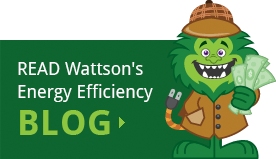 Becoming more energy efficient in today’s world is becoming increasingly important on numerous levels. I was very impressed with the unprecedented breadth of home efficiency knowledge and workmanship that the team at the Energy Monster brought to my project. Having worked with a different home efficiency company on another property in the past; the overall level of quality, performance and professionalism was second to none at Energy Monster. I was also pleased to hear the quality inspector from Mass Save compliment them during the final inspection. I will certainly recommend Energy Monster to my friends and family. My interactions with Energy Monster have been excellent. They helped me clearly understand what a Home Energy Assessment entails in addition to the benefits. I had my attic air sealed and insulated. I instantly noticed a difference as my home wasn’t as hot as the day before and it was still 95 degrees outside. I was able to turn down my a/c which will save me on my electric bill. I can’t wait to save on my oil bills this winter! They were also able to get me an instant rebate of 75% off on my project…who even knew they could do that! Click on your favorite social channel to share your experience & results with Energy Monster. We would love to hear your feedback!